For over a decade, Dr. Andrew Hicks has been helping improve the lives of people naturally, with chiropractic care based on locating the source of your problems, then working to correct them. In addition to chiropractic, we offer weight loss, auto accident injury care and Department of Transportation physical examinations. We have patients of all ages, from children to working professionals and seniors, who seek our help in optimizing their health and lives. Dr. Hicks practices evidence-based chiropractic care that is backed up by research demonstrating the results numerous people have gotten. Our treatment plans have a start and finish to them, working to fix the underlying cause of dysfunction instead of just covering up your symptoms. We’ve seen many success stories from people who weren’t aware that chiropractic care could do anything for them, or who didn’t believe in the power of natural, healing care. You may not realize that pain and discomfort aren’t normal. As Dr. Hicks helps you to feel better, he teaches you how to get the most out of life so that you can make better decisions about your health and the way you live. One of our favorite stories is about a patient who had been plagued by devastating low back pain. He came into our office using a walker, unable to move on his own. A breakthrough moment happened when he walked into the office holding the walker up over his head. Seeing his excitement, and the incredible results our other patients get, keeps us loving what we do and motivated to help other people in our community! Rejuvenate your health, starting today! 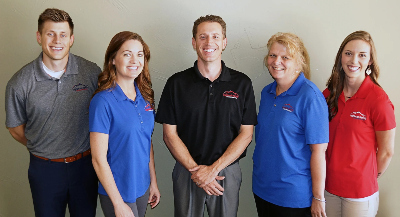 Schedule your appointment with our friendly, helpful team and get on the path to better living.